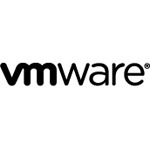 VMware NSX is the network virtualization and security platform for the software-defined data center. NSX brings virtualization to your existing network and transforms network operations and economics. Programmatically create, provision, snapshot, delete and restore complex networks all in software. VMware NSX breaks through current physical network barriers, enabling data center operators to achieve order of magnitude better speed, economics and choice.